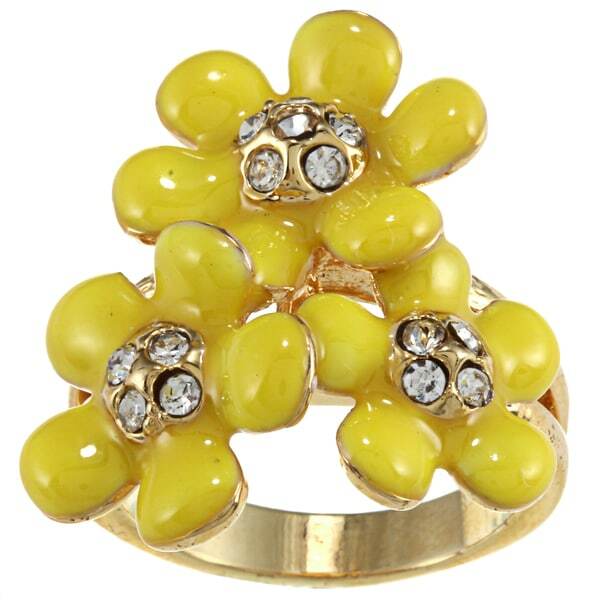 This ring is made from a highly polished base metal with gold and yellow crystals added for an amazing look perfect for any wardrobe. This ring was exactly what I wanted and good quality! "When are you going to have this awesome ring in size 6? Please let me know." Hello Catalina i., items are restocked as they become available; however, we cannot guarantee an item will be restocked. Thank you for shopping with us. "What is the size of this ring? Where can you include the size you want on the order?" Thank you for contacting us sqrshar. The only size available is a size 8. We apologize for any inconvenience we might have caused. Please let us know if you have any further questions.